If you know your Hollywood stuff, you’re instantly going to connect with this machine. 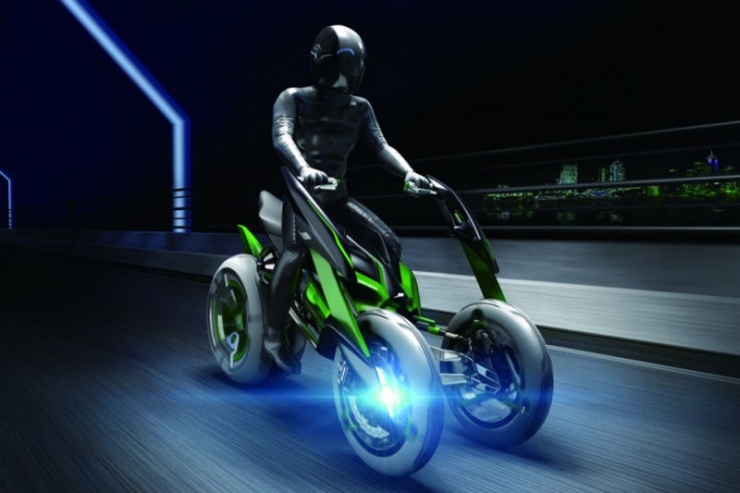 This is the Concept J from Kawasaki, an electric motorcycle that seems straight out of the Tron movie franchise. 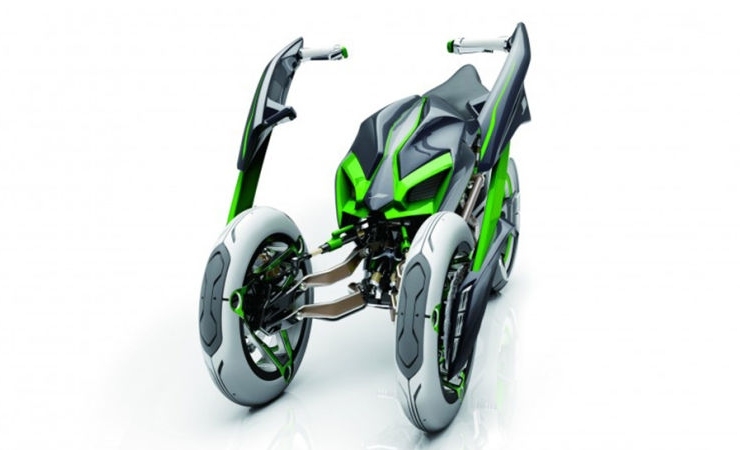 The motorcycle, rather three wheeler, is a glimpse of the future. Why buy a cruiser or a sportbike when you can everything rolled into one? Yes, the Concept J can go from cruiser to sportbike in a matter of seconds. This form shifting machine will change the riding position, from the upright to the crouch, all in an effort to combine multiple bikes into one, like this. That’s not all. Three wheels, two at front and one at the rear, takes the whole concept of balancing a motorcycle out of the picture. However, the motorcycle will still lean into corners like regular bikes, thus maintaining the rush of getting the “knee down”. With the Concept J, Kawasaki seems to emphasize on the fact that now everyone can ride high performance, sporty machines. The Piaggio MP3 and the Yamaha TriCity will finally have competition, sportier competition. And here’s a video to illustrate how exactly the Concept J works. 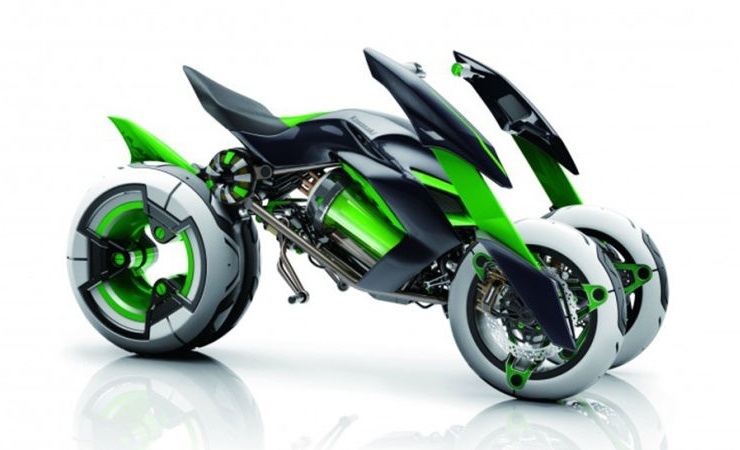 Powered by nickel metal hydride batteries, the Kawasaki Concept J also features multiple riding modes. When you’re in the mood for cruising about town, you can select the ‘comfort’mode, and when you want to blaze past everyone, just thumb into the ‘sport’ mode. While this motorcycle is still a concept and a few years from hitting production reality, it does give us a glimpse into the future of motorcycling. It’s already been 2 years since Kawasaki presented the Concept J at 2013’s Tokyo Motor Show. This bike even made it to Intermot last year. For now the Japanese motorcycle giant has been tight lipped about production plans, but that could change very quickly.